All necessary training can be provided for artists involved with underwater filming. All courses can be taught internationally to suit your specific needs. With many years of experience our staff teach to the highest standards. 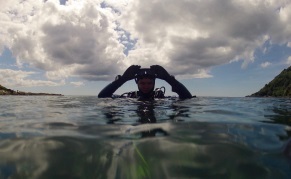 We offer a superb range of courses, or after course services and specialise in multi-seasonal dive travel. Along with teaching you the necessary skills needed to enjoy the area of the aquatic realm that most interests you, with additional guidance on specie recognition and integration, to enable you to make the most of every dive there after. A fun way to introduce children to SCUBA, great for birthday parties or presents. This experience is conducted in a pool 2m deep or shallower. This course is designed to give you an introduction to SCUBA diving. It includes basic diving knowledge and equipment orientation and a shallow water diver. You can also credit it toward your SCUBA diver or Openwater diver certification. 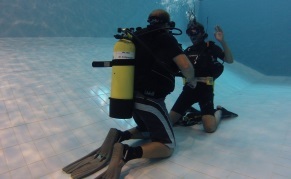 The Scuba diver course consists of 3 confined water dives, 2 open water dives and 3 knowledge development sessions. Completion gains you the SCUBA diver certification, licensing you to dive any where in the world with a PADI professional to a maximum depth of 12m. 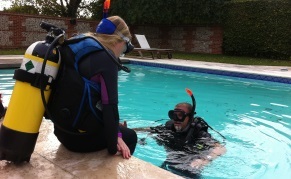 This is the only entry level course that trains you to dive with a buddy, independent of a professional. 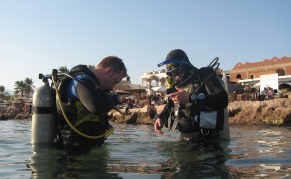 It consists of 5 knowledge development sessions, 5 confined water dives and 4 openwater dives. Completion of this course gains you the PADI Openwater Diver certification, and entitles you to dive to a max depth of 18m (10 to 15 yr olds are trained and certified to a maz depth of 12m).